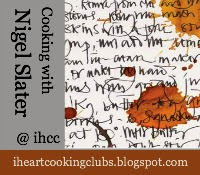 We're doing the "Rootie Patootie" this week at I Heart Cooking Clubs, preparing any Nigel Slater dish using root vegetables. I know most of you out there would probably find it hard to go past the potato if asked to name your favourite root vegetable. For me, however, much as I love the humble spud, it has to be beetroot. Finding a suitable dish to make was as simple as hauling Nigel's book "Tender, Vol I, A cook and his vegetable patch" off the shelf, and heading straight to the beetroot chapter. As with every other chapter in this book, each sentence is so beautifully crafted I find myself longing to read late into the night, and at the same time shuddering with my own ineptitude as a food writer. Here you will find Nigel not only offers recipes for using beetroot, but also offers advice on growing them, the various varieties of beets, simple advice on preparing them for the pot or oven, and some "quick fix" uses and great pairings. I was sorely tempted to try the lamb, cracked wheat and beetroot meatballs paired with a yoghurt, cucumber, mint and caper dressing. The chickpea patties with beetroot tzatziki sounded equally tantalising. And, although I've had an absolute horror of beetroot soup ever since a rather wretched experience in my early 20s, I flirted briefly with the idea of trying the chilled soup of goat's cheese and beetroot. But once I got to the recipe for "An extremely moist chocolate beetroot cake with creme fraiche and poppy seeds" I was completely seduced. 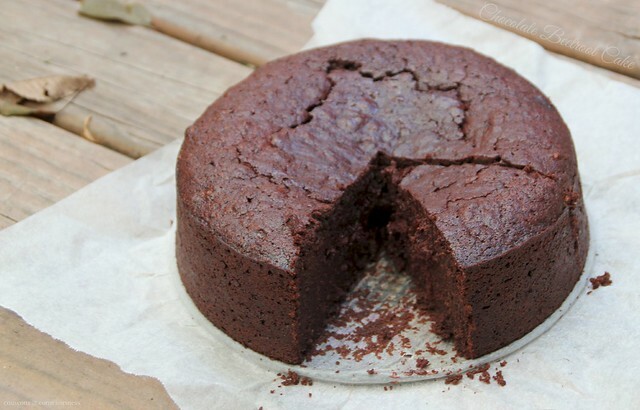 In his introduction to this recipe, Nigel says: "Keeping a cake's heart on the verge of oozing is down partly to timing and partly to the ingredients - ground almonds and very good-quality chocolate will help enormously. But there are other ways to moisten a cake, such as introducing grated carrots or, in this case, crushed beetroot. The beetroot is subtle here, but it is a lot cheaper than ground almonds" (at $4.50/kg compared to $29/kg, he's not wrong there) "and blends perfectly with dark chocolate." He goes on to say, "This is a seductive cake, deeply moist and tempting." And I can tell you that he is absolutely right about that too. I made a couple of small changes to the recipe. Firstly the recipe called for 200g of dark chocolate, but chocolate here comes in 250g blocks, and it would have been churlish to hold back just a few squares. I also replaced golden caster sugar with coconut sugar, which happens to be my favourite sugar right now. Lastly, there were a couple of steps in the method which seemed either unnecessarily complicated or at odds with how I would ordinarily have done things, so I made changes to the method accordingly. The end result: When Nigel calls this an "extremely moist ... cake", he's not kidding. Around the edges this is like a dense, fudgy brownie, and at the centre almost like a rich chocolate mousse. This is hands down the best chocolate cake I've ever made - admittedly I've not made a lot of chocolate cakes, but this is still the best. You will definitely want to eat this with a spoon, and it would make a great dessert. That said, given that it contains a vegetable (beetroot), I wouldn't be opposed to eating it for breakfast. I have also heard that eating chocolate with vegetables cancels out the calories - ok, we know that's not true, but I'm not above kidding myself. Nigel serves this with a side order of creme fraiche mixed with poppy seeds. I got so excited by the cake I completely forgot about the side, but I'm pretty sure they would be great together if you can exercise enough restraint to mix it up before being overtaken by cake lust. Cook whole beetroot in boiling, unsalted water until tender to the point of a knife - approximately 45 minutes depending on the size of your beetroot. Meanwhile, preheat oven to 180 degrees C (350 degrees F). Lightly grease a 20cm (8 inch) springform or loose-bottomed cake tin, and line the base with baking paper. Set aside. Drain beetroot and cool under cold running water until you can handle them. Peel the beetroot (skins will slip off easily with your fingers), remove stems and roots, roughly chop, and blitz in the food processor until you have a coarse puree. Cut butter into chunks and add to a large bowl set over simmering water until melted. Remove from heat, add chocolate and espresso, and stir until chocolate is melted and everything is smooth and glossy. Separate the eggs. Put the whites in a large bowl and set aside. Lightly whisk the egg yolks, and add them to the chocolate mixture, along with the coconut sugar and pureed beetroot. Stir to combine. Beat the egg whites until stiff and gently fold into the chocolate mixture. Lastly, sift together the flour, baking powder and cocoa, and gently fold into the wet ingredients until fully combined. Pour into the prepared cake tin and put into the preheated oven. Immediately turn heat down to 160 degrees C (320 degrees F). Bake for 40 minutes, by which time the edge of the cake will be feeling quite spongy but the centre will still have a wobble when gently shaken. Remove from the oven. Set the tin on a rack and leave to cool. Loosen around the edges with a palette knife after 30 minutes, but allow to cool completely before removing from the tin. ... or check out Tender, Vol. 1 and Nigel's many other great titles available from Amazon USA, Amazon UK, or Fishpond NZ. I will also be submitting this post to Sweet New Zealand. 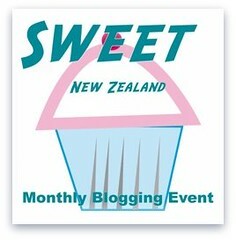 Inspired by Alessandra Zecchini, and hosted this month right here on Couscous & Consciousness, Sweet New Zealand is an event for all Kiwi bloggers (whether living at home or abroad), or all foreign bloggers living in New Zealand, to link up their sweet treats. I'll also be sharing this post this week at See Ya In the Gumbo hosted by the delightful Michelle at Ms. enPlace, at Weekend Cooking hosted by Beth Fish Reads, at Foodie Fridays hosted by Designs by Gollum, and at Cook Your Books hosted by the lovely Joyce at Kitchen Flavours, and at Hearth & Soul hosted by the gorgeous April at 21st Century Housewife. Omggg! I actually made this and it's amazinggg! :) Thank you! Thanks, Janneke - I'm so pleased you enjoyed it. I made this before and nobody could tell it had beetroot in it! Yours looks so good that I want to bake one more too. Thanks, Angie - I'll definitely be making this again and you're right, no-one can tell it has beetroot in it. I also left you a reply for where to buy the hazelnut flour :-). Thanks, Alessandra - I'm inclined to agree with you. The taste of uncooked flour and baking powder is not particularly pleasing. We love beets at our house and I will have to give this cake a try. I love a dense sweet cake! Toby, I'm sure you would love this cake, but I certainly wouldn't want to be responsible for Jane meeting her maker! I would love to hear about it if you come up with a good alternative - raspberries sounds promising. Thank you, Chiara, and thank you so much for stopping by. I bet it's wonderful. I love cakes with vegetables; they are always moist and rich and dense (in a good way). I love all kinds of root veggies, including beets. You're absolutely right, Beth - the beets in this definitely make this moist and dense, in a very good way. Wow! That cakes looks amazingly moist and rich (and like a way to get my family to appreciate beets). I've been eyeing this recipe for a while but it's now moved to the top of the "to make" list. And a very good way it is too, Ulrike. Though, have you tried them roasted? I've found that quite a few people who are not that fussed on beetroot seem to really like them roasted. LOL Great minds think alike. I made this cake, too. Good wasn't it? It was great. Though I really loved your addition of a chocolate ganache topping - I think I'll try that next time. I agree completely, Arfi. Would love to hear about it if you manage to come up with a gluten-free and vegan variation of this. Secondly, this recipe grabs my attention every time I open up that book! Something so interesting about making a chocolate cake with beetroot. I love how moist and delicious looks! I was the same with this recipe, I had it bookmarked for ages, and somehow the book seemed to mysteriously flop open at this recipe nearly every time I picked it up. It's certainly an intriguing and very delicious combination, even though the beetroot is really extremely subtle. Thanks so much, Teddyree - I hope you enjoy it as much as I did. Thanks, April. I really hope you try it. The beetroot makes for such a deliciously moist cake, and truthfully you would never know it's there. I'll head on over and link up - thanks for the invite. Lovely cake, Sue! The usage of beetroot is wonderful. The cake looks really moist with soft tender texture! My kinda cake! This looks a bit of alright. I'm thinking I might make my own low carb, gluten free version. Shouldn't be too difficult as this fabulous recipe only has a small amount of flour and sugar to substitute. Thanks, Libby. I'd love to see what you come up with if you do a version of this. I love beets roasted but I said to Tea and Scones, I would have to hide a beet in the kitchen while making a cake, My husband eats beets roasted but no other way. I should sneak it! That's a gorgeous cake, Sue, and I would love to share a slice with you over a cuppa tea! This cake looks amazingly moist. Yummy. Pinning to try. 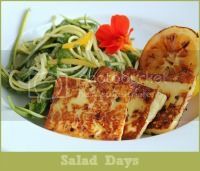 found at foodie Friday linky. Have a great week. I've been so curious about this for so long...I've done the chocolate and zucchini thing, but I think it's time to try this one. I would love this for breakfast! This cake looks so rich, moist and delicious! 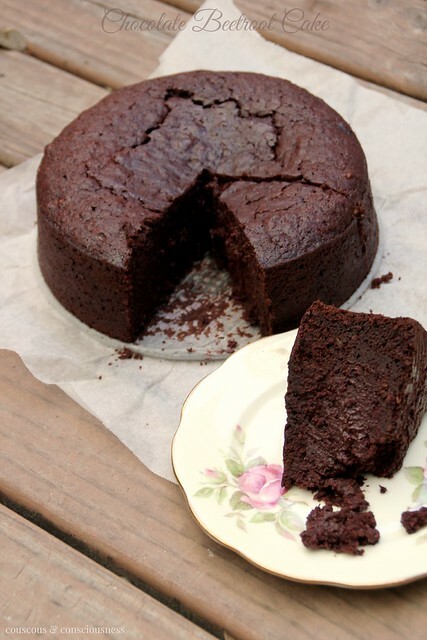 We love beetroot but never used it in a cake, I should probably give this a try soon :). Thanks for the recipe! I made a brownie recipe with beets in it a while back but this looks even better. ;-) So moist and fudgy. Yum! I like the creme fraiche with poppy seeds idea (bet it would be good with berries) but it looks like you really don't even need it to make this cake pretty perfect. Hmmm, now you've got me thinking - I'm going to have a go at including some beetroot the next time I make brownies. Yes, I think the creme fraiche and poppy seeds would have been great. I saw also that Margaret at Tea & Scones made the same cake and put a chocolate ganache over the top - I bet that would have been great too. But really it's actually pretty darn good all on its own. I know I should be focusing on the pairing of beet with chocolate, but I'm kinda hung up on the poppy seed/chocolate combination. I guss this whole cake is full of surprises! The idea of keeping a cake on the verge of oozing grabs my attention for sure. Thank you for sharing, Sue. 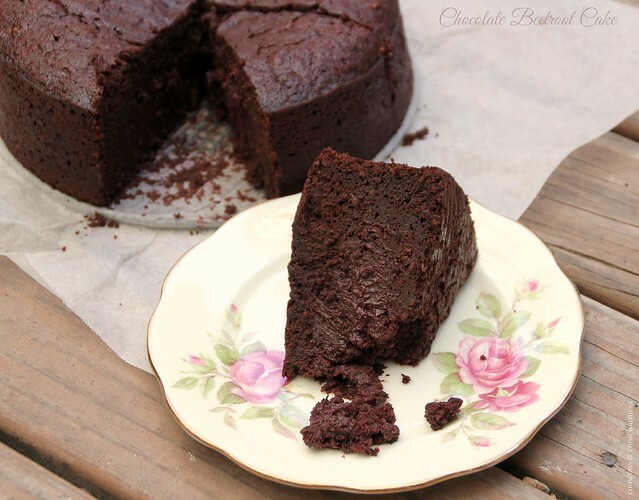 Delicious chocolate cake with beet root thanks for sharing with Hearth and Soul blog hop. I am highlighting this recipe on today's blog hop.